If you’ve been through Pure Praise or one of Dwayne’s other books, then you know the tremendous impact they can have. Dwayne will be launching a free resource in November! 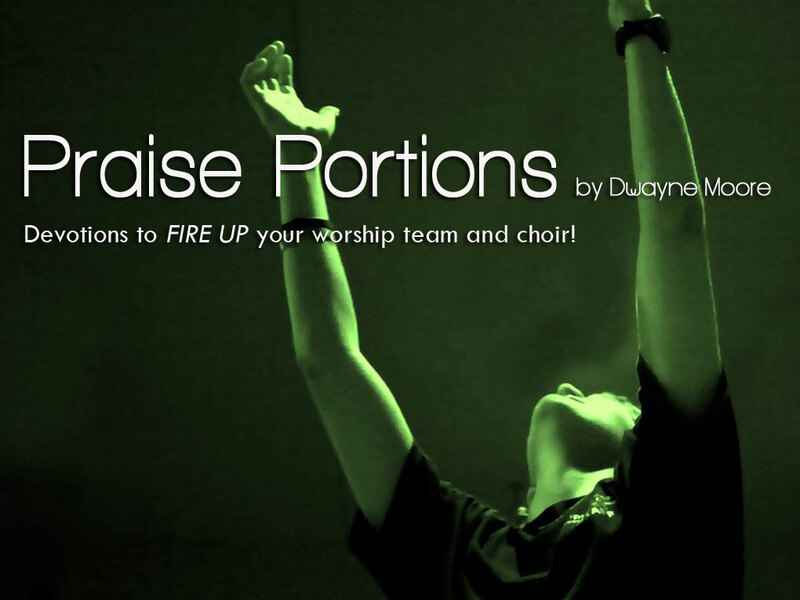 It’s called Praise Portions: Devotions to FIRE UP Your Ministry and Worship Teams! Each written devotional will take about 5-10 minutes to do with your team. Each includes two or three optional discussion questions. They require little or no preparation to do. When you sign up, we will send you monthly emails with a link to download the weekly devotions for each month (for four months). Each month’s set of devotions is a single PDF file so you can download and print it off. Each month’s issue will be available a few days in advance of each month so you can use them with your group. To download these free weekly devotions, click here.